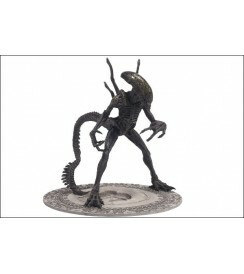 Grid Alien stands 8 1/2 inches tall on base with 13 points of articulation. Grid Alien is based directly on film reference from Alien vs. Predator. Figure is well-articulated with bendy tail and also includes a beautiful circular custom base and foot pegs. Height: 8 1/2 inches (21.6cm) tall on base. Articulation: Neck (ball joint), shoulders, elbows, wrists, torso (ball joint), hips (ball joints), ankles and tail. 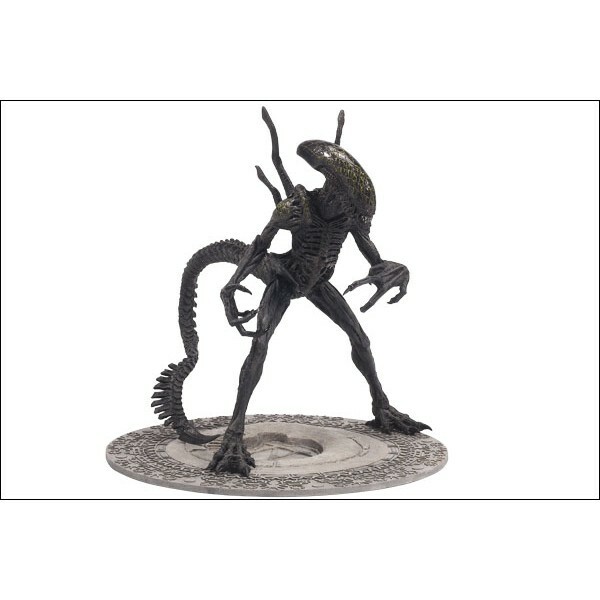 Total of 13 points of useful articulation Accessories: Package includes fully detailed Grid Alien based directly on film reference from Alien vs. Predator. Figure is well-articulated with bendy tail and also includes a beautiful circular custom base and foot pegs.